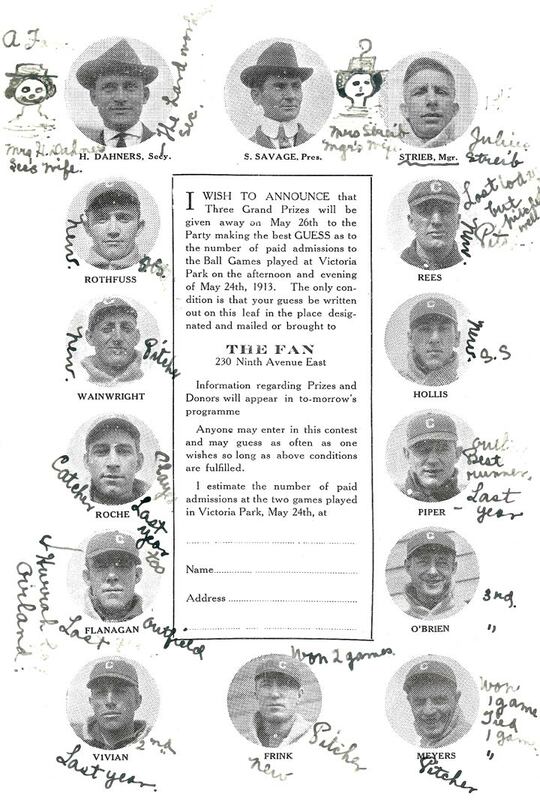 Thanks to David Eskenazi, here's the interior page of a program from the 1913 Calgary Bronchos with "A Fan's" notes. Starting at the top left, the fan has drawn in Mrs. H. Dahners, the "Sec's Wife". Alongside Dahner's photo is "The hardworking sec". There's an entry for Mrs. Streib, the manager's wife. For Rees (who official sources identify as Reese) is "Lost today but pitched well". 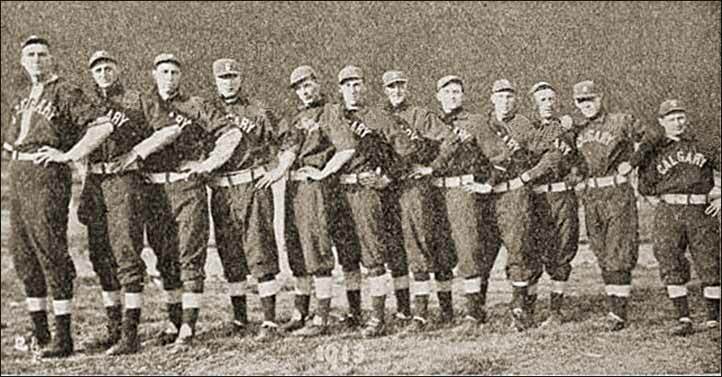 There are many references to "New" and "Last year" which indicates whether they were newcomers to the team. For Piper there's the notation "outfield. Best runner.". The fan noted that Meyers had "won 1 game, tied 1 game". Frank "won 2 games". The one note that isn't clear is that for Flanagan. The arrow points to "Hurrah for" and another word, not yet clear.